You may suddenly realise that you need asbestos garage removal in Crewe once you’ve moved into your new home. Many older homes have used materials during their construction which may contain asbestos. This asbestos is not usually uncovered without an inspection. During home purchases and sales, if asbestos is found, the price of the home may go down. However, some buyers choose to skip the initial inspection in order to save money upfront. After all, if nothing is discovered, the cost of the inspection will not be covered. For some homeowners who are renovating in Crewe, asbestos garage removal becomes a top priority. Asbestos is a naturally occurring silicate-based mineral. It is preferred due to its insulative and fire retardant properties. There are six types of asbestos, that were as materials until the 70s, especially in the manufacturing of car parts, pipe insulation, roof shingles, fire blankets, fire-proof clothing and floor tiles. After it was discovered to have carcinogenic properties, asbestos was regulated, and domestic use was drastically reduced. 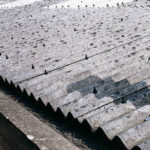 Due to its fibrous nature, when disturbed, asbestos releases tiny particles into the air, which can be inhaled and cause the disease known as mesothelioma. Asbestos garage removal in Crewe is one of the services you may need if you find asbestos on your property. The material can also be found in attics and basements, and it is very hard to recognise by visual inspection alone. If your home was built before the 70s, odds are that there is more than one place containing asbestos in your home. However, this is no reason to panic. Just because asbestos is found in your home, it does not mean that you have been exposed to it in any harmful manner. Unless disturbed or damaged, asbestos is perfectly safe. If you suspect that you have asbestos in your home, contact Asbestos Associated today. We work with both domestic and commercial clients, and have years of experience under our belt in surveying, managing and removing asbestos.